Years of intensive research were undertaken by the automotive industry to find a replacement for R134a, resulting in the selection of R1234yf as the new standard refrigerant for new systems. Compared with R134a, considerable upgrades to component quality and robustness, as well as compliance with a number of new SAE standards, have been engineered into R1234yf systems. The systems are designed to prevent potential refrigerant leakage into the cabin. From a service and repair standpoint, R1234yf has similar thermal properties to R134a, meaning there are only minor system layout and design differences and faults can be diagnosed using the same methods as R134a. The biggest difference is R1234yf’s A2L flammability rating, which means it is mildly flammable. 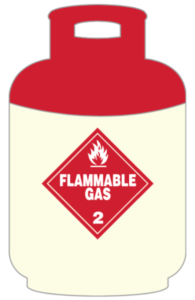 This has implications for workplace health and safety procedures and means Dangerous Goods rules apply to the storage, transport and handling of this gas. To ensure workplace safety, new SAE standards apply to the equipment used to service R1234yf systems. Some equipment is rated as compatible with both R134a and R1234yf and some equipment is suitable only for R1234yf. R134a service equipment and system components are not interchangeable with R1234yf systems unless they meet the relevant SAE standards. To prevent refrigerant contamination, R1234yf systems have a different service port design to those designed for R134a. Unlike the R12 ban of 1996, supplies of R134a will remain available for servicing existing equipment and there will be no retrofitting between R134a and R1234yf systems. Enabling businesses and technicians servicing R1234yf systems to comply with Dangerous Goods legislation and safety regulations, new recovery cylinders that are rated for flammable refrigerants are being introduced by Refrigerant Reclaim Australia.